Best known for their seafood and sourdough, San Franciscans have long shied away from discussing their pizza game. Even Thrillist admits the city suffered “many years of truly mediocre pizza.” But not anymore. Today, San Francisco’s Italian catering scene includes many gems, from pizzerias that make sustainable choices to elegant establishments. The prestigious Michelin Guide praises San Francisco’s “excellent pizza restaurants” for using gorgeous local produce, and Thrillist agrees: the pies now hold up against national rivals. Then again, posh Italian entrées never disappeared from the menu at much beloved Acquerello or chef Michael Tusk’s Quince, a Michelin three-star establishment. Yes, there’s so much delicious food happening here. Looking for the best Italian catering that San Francisco has to offer? These ten greats cover all corners of the city—and deliver straight to you. When you need the best Italian caterer in San Francisco, book the experts at Pronto. Their extensive pizza menu features classics like a Margherita with fresh basil and sweet tomato, as well as a vegetarian-friendly pie with pesto, spinach, artichoke hearts, and garlic. Have a meat-loving crowd to please? Trays of lasagna and spaghetti and meatballs, both delivered with super cheesy garlic bread, taste just like your favorite Nonna used to make. Think you know the ins and outs of Italian catering in San Francisco? Mr. Pizza Man adds something extra to each dish, transforming every old-school meal into a new adventure. Try an appetizer of cheese ravioli, or note how garlic wafts from their french fries. Their impressive menu of specialty pies includes calzones and gluten-free crusts, so there’s something for everyone—including team members with dietary restrictions. Pay attention at dessert, too—there’s a hint of amaretto in the cheesecake you’re about to devour. “Our team commits to giving you 100 percent customer satisfaction, and we live for it,” says North Beach Pizza’s Gustavo Ramirez. To bring you the best Italian in San Francisco, they buy produce fresh every morning. Expect the eggplant on your toasted chicken parmesan sub, the romaine lettuce in your crispy Caesar salad, and the veggie layers in your lasagna to burst with flavor. Pizzas can clock in at 18 inches and comes loaded with hearty Italian meats. 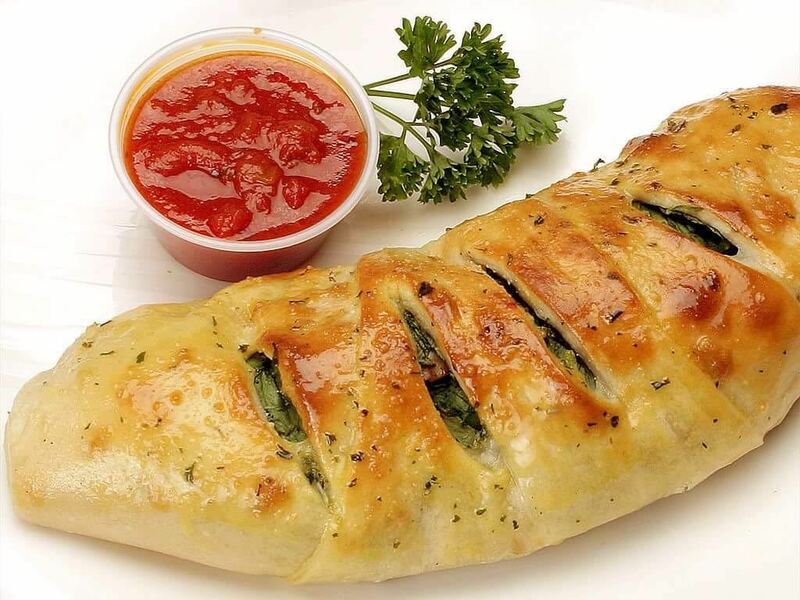 Villa Italian Kitchen has served owner Michele Scotto’s Napolitano recipes to the masses since 1964. But the caterer is still a mainstay in San Francisco because they efficiently bring piping hot, impeccably presented Italian classics into corporate settings. 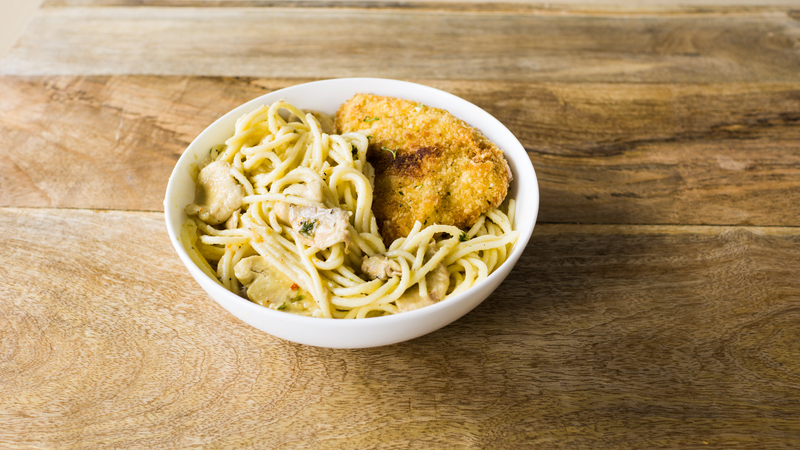 Neatly boxed lunches pair a variety of pasta entrées with salad and a garlic roll. Group packages offer enough stromboli, pasta, salads, and side dishes to (over)feed a crowd. Prefer to mix and match for yourself? Trays for smaller groups are ready for mid-sized meetings, too. Fresca Garden’s small menu boasts big flavors. You could go for a traditional cheese pizza with toppings like pepperoni and mushrooms. But why not try a chicken and avocado pizza, instead? Or one with creamy feta cheese and sautéed zucchini? Then again, you could go wild and order a burger with warm Persian spices. Chefs dishing out the best Italian in San Francisco know how to keep things fresh and exciting—so you never feel too bad about snagging that extra slice. Italian catering in San Francisco doesn’t get more elegant than with Gabriele Muselli. Grilled salmon with lemon and tarragon sauce, ratatouille over quinoa, and roasted beet and carrot salad are only a few of their many delicate, fanciful options. Even ravioli filled with porcini mushrooms, fresh peas, and mint gets extra love—every piece of pasta is rolled and pressed by hand. Family owned and operated, Gabriele Muselli Catering is the best Italian caterer in San Francisco for a formal breakfast, lunch, or dinner. If you’re craving Italian catering, San Francisco-style pizza is sometimes the only way to go. At Mustafio’s Pizza, thin-crust pies come loaded with California-fresh produce, and they offer fun options for their 14- to 16-inch pies, too. Premium toppings include gruyère cheese, sun-dried tomatoes, turkey bacon, and yellow roasted peppers. Have an office in need of a healthy, rejuvenating lunch? Their must-order avocado salad, or the Caesar salad with grilled chicken and parmesan cheese, are customer favorites. Consider Pizzelle di North Beach when you need generous portions and the greatest Italian hits. 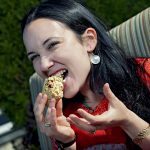 And be sure to count heads, not calories, when placing an order—an appetizer combo tray of chicken wings, mozzarella sticks, and fried chili poppers will make team members come back for seconds. 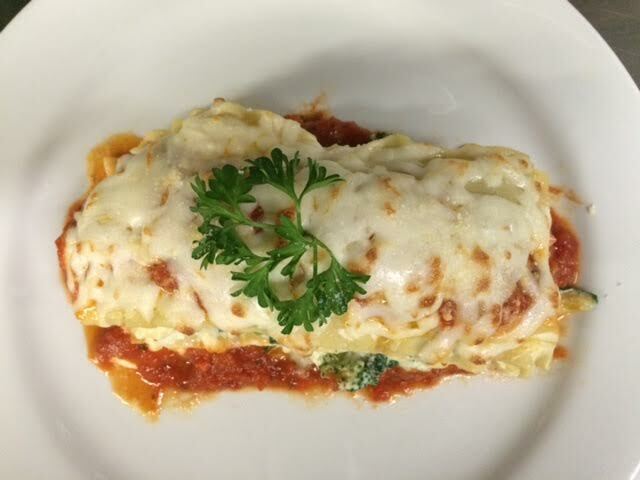 Their notoriously stacked lasagna, layered with meat or veggies, is perfect for a crowd—customers can’t stop raving about it. For almost fifty years, the Dussin family has made Old Spaghetti Factory dishes daily on site, using nothing but the best ingredients. For unique and timeless favorites, try their famous baked lasagna with ground beef, pork, and four kinds of cheese. 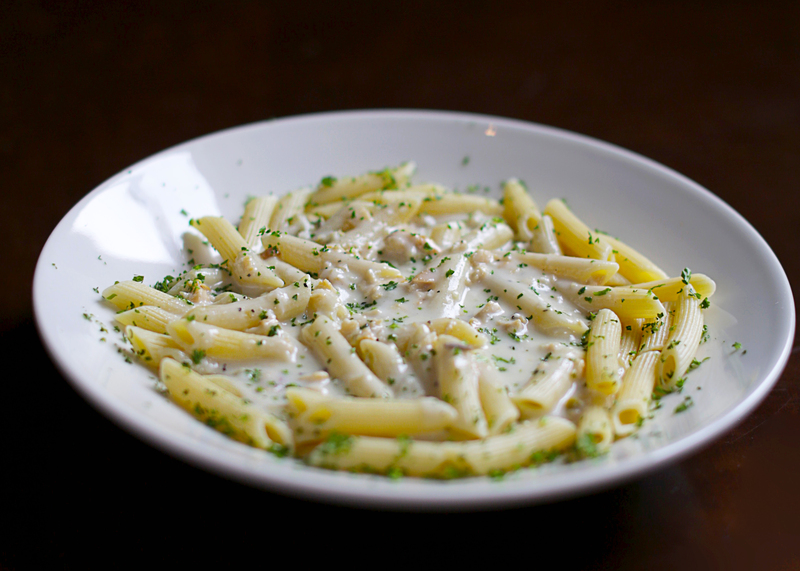 For the particularly curious, their penne with mizithra cheese and browned butter combines a “toothsome treat” of traditional Greek whey cheese, blended from a mixture of cow, goat, and sheep milk—this dish is so popular they import over 200,000 pounds of cheese a year. San Francisco has never seen Italian catering quite like this. With fresh-baked bread, bubbling pizza, and rich tomato sauce made from an old family recipe, Amici’s brings an East Coast sensibility to the San Francisco Italian catering scene. The meatball sandwich with gently melting mozz “proves the age-old adage that sometimes the best things in life are the simplest,” says Amici’s Richard Alum. An arugula salad balances a peppery vegetal kick with sweet grapes and creamy goat cheese. And pies fired in a 700-degree wood oven mean every slice comes with that cheesy char. With every bite, you know you’re eating the best Italian in San Francisco. Curious about trends in the San Francisco food scene?